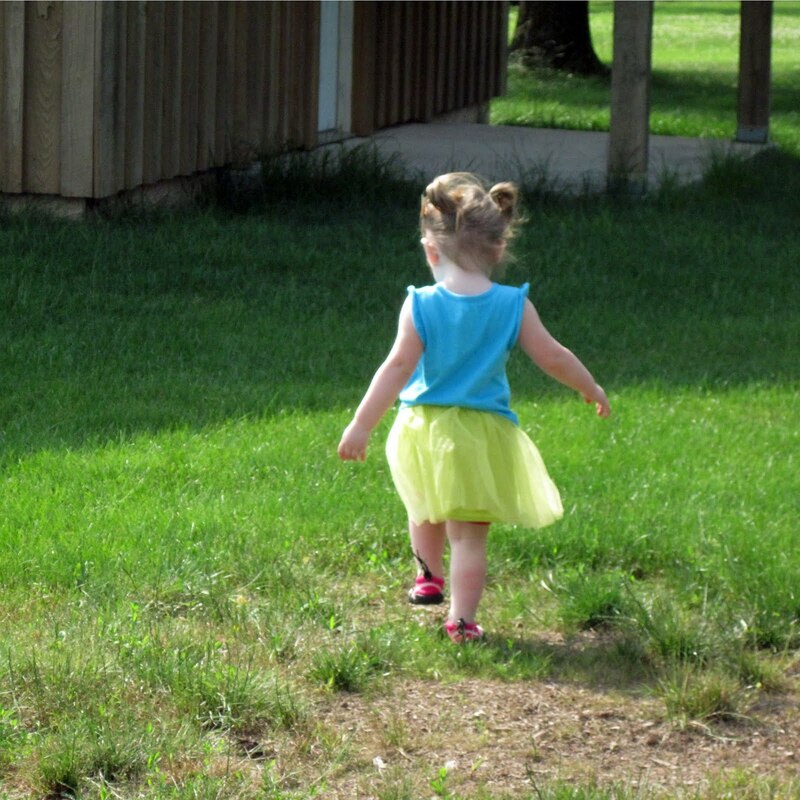 Under the Big Oak Tree: Wordless Wednesday ~ Go Fly A Kite! On a recent trip to Walmart, Joe added a Sponge Bob Kite to our shopping cart. I laughed. I had doubts about kite flying. Growing up in the city, there wasn't much room to fly a kite. In fact, in all of my 40 years, the only memory I have of any attempt of flying a kite was when my brother and I tried to make a kite out of paper shopping bags. It didn't work. I can't even remember how old we were at the time. 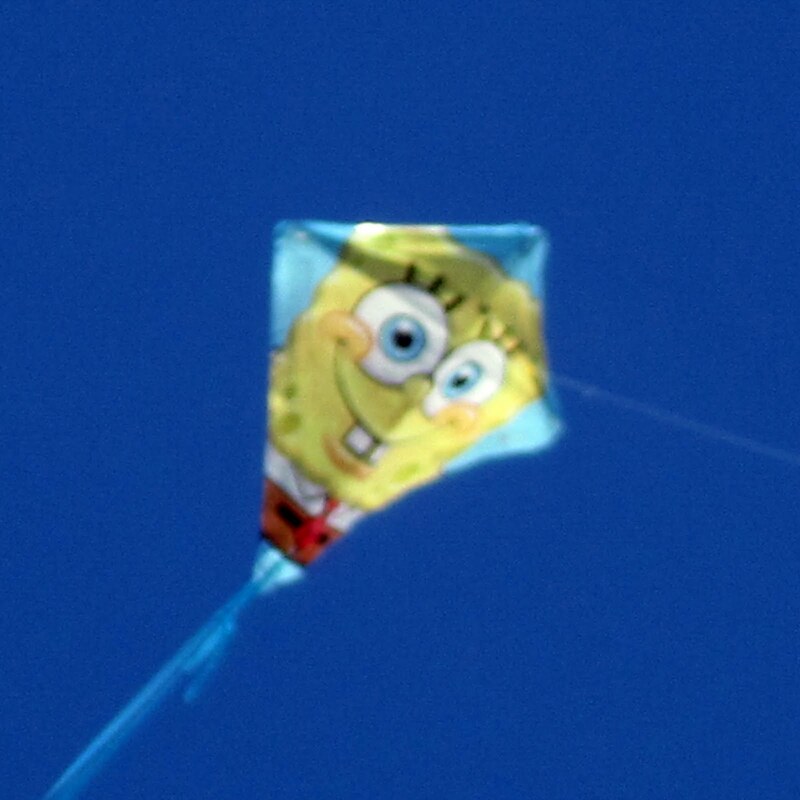 Anyway, back to our Sponge Bob Kite. Joe figured that Grace would really get a kick out of it, IF we managed to get it off the ground. And if we didn't get it flying, then it wouldn't be a huge loss since it was only a dollar. 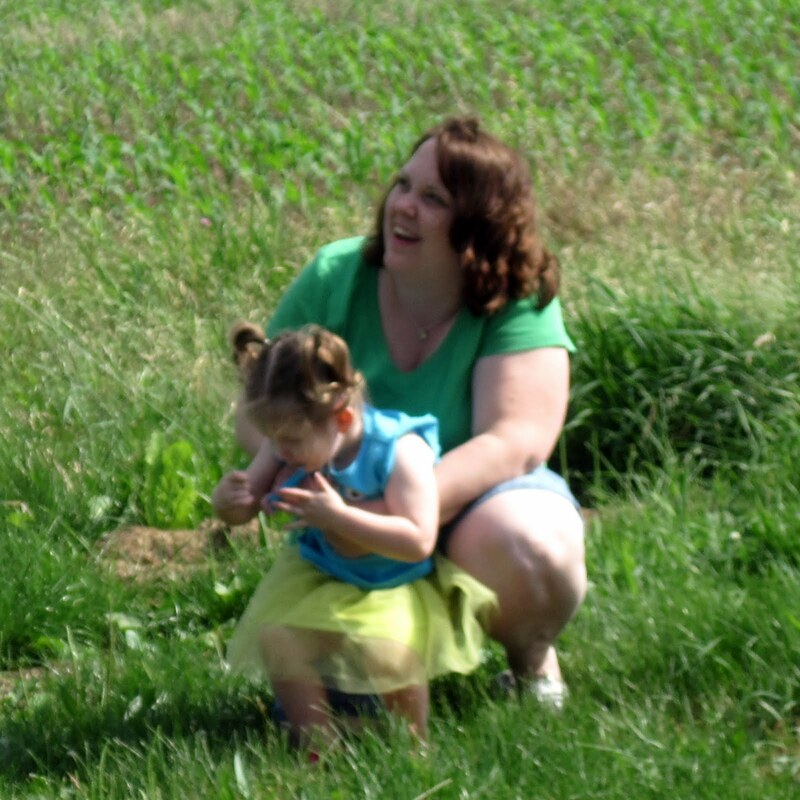 The following weekend, we had a nice family day planned. Starting with breakfast at our favorite breakfast buffet. After coming home from breakfast, I went inside to put a few things away. 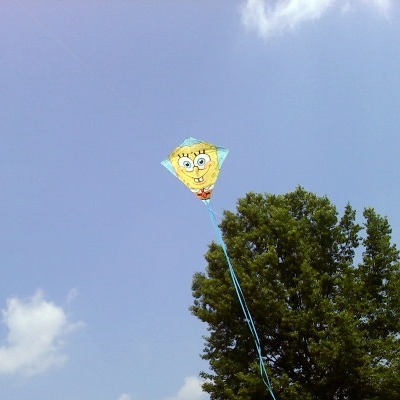 When I looked out our back window I saw Joe in the middle of the yard with Sponge Bob soaring high in the sky. Grace was loving it!!! 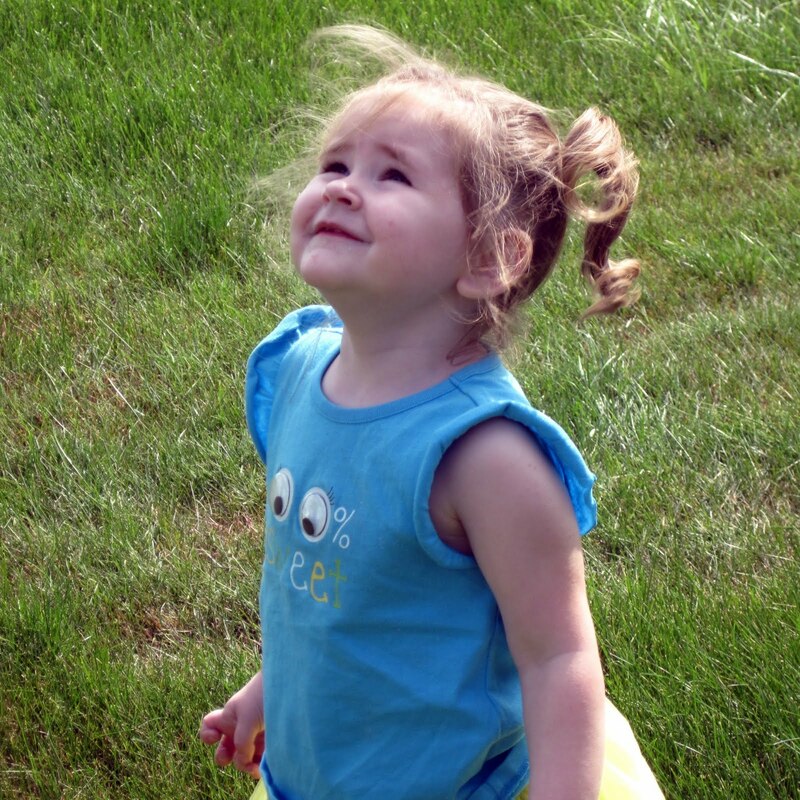 She had a huge smile on her face while pointing to "Bob Bob" in the sky! Later, while Joe was fixing our lawn mower, I decided to try my hand at kite flying! I was tickled pink to see the kite take off into the sky! I felt like a little kid! I even let Grace have a turn! 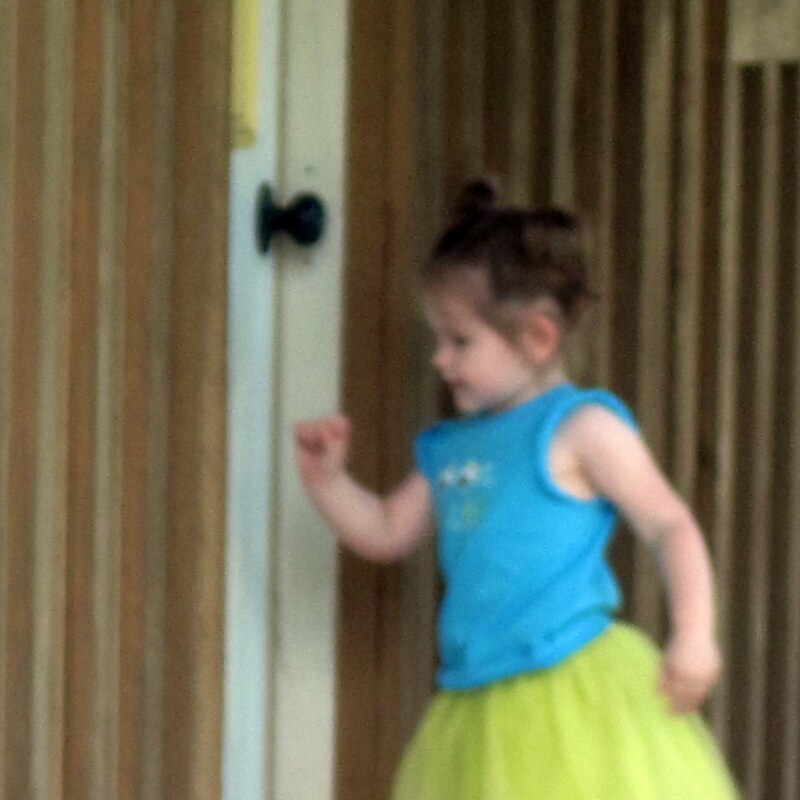 After Grace was finished with the kite, she ran over to knock on our neighbor's shed. 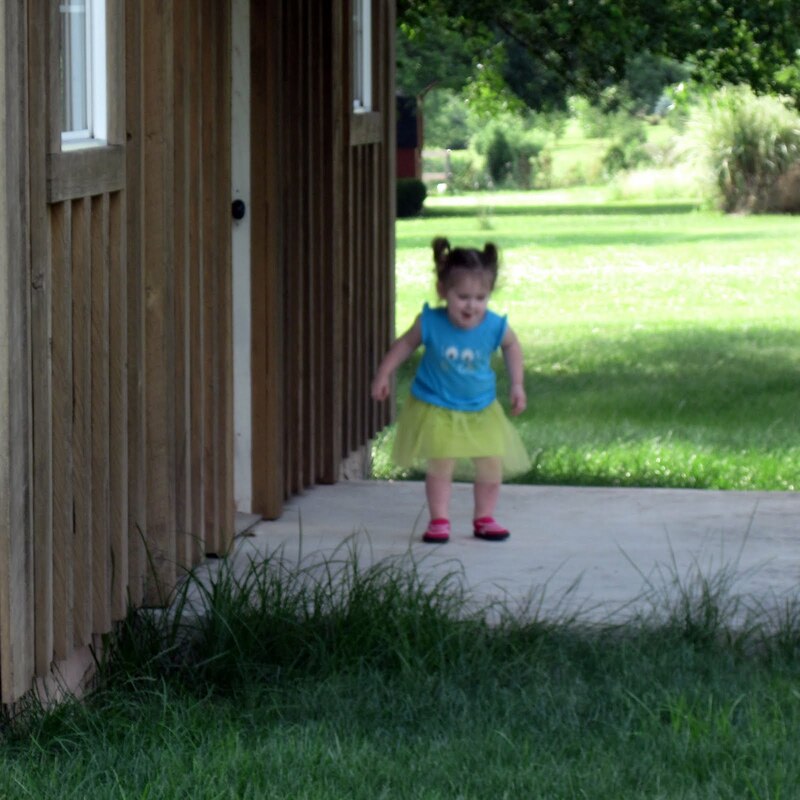 She loves to go over and visit, even though there's no answer each time she knocks on the door of the little house. She likes to pretend that the little porch on the shed is a stage. Here she is doing a little dance! 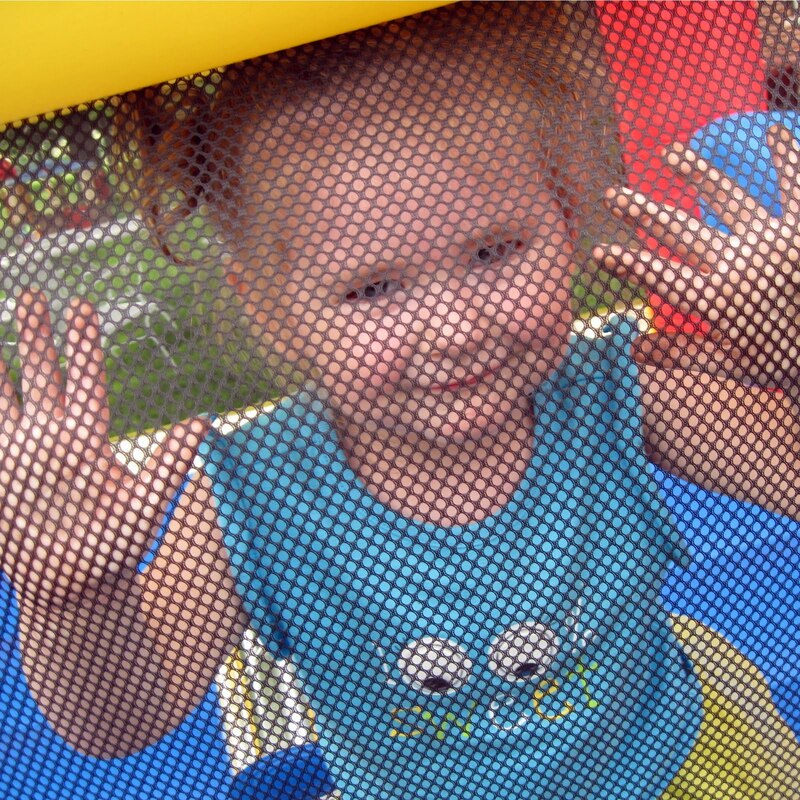 Grace also enjoyed some time playing with some of her outdoor toys. 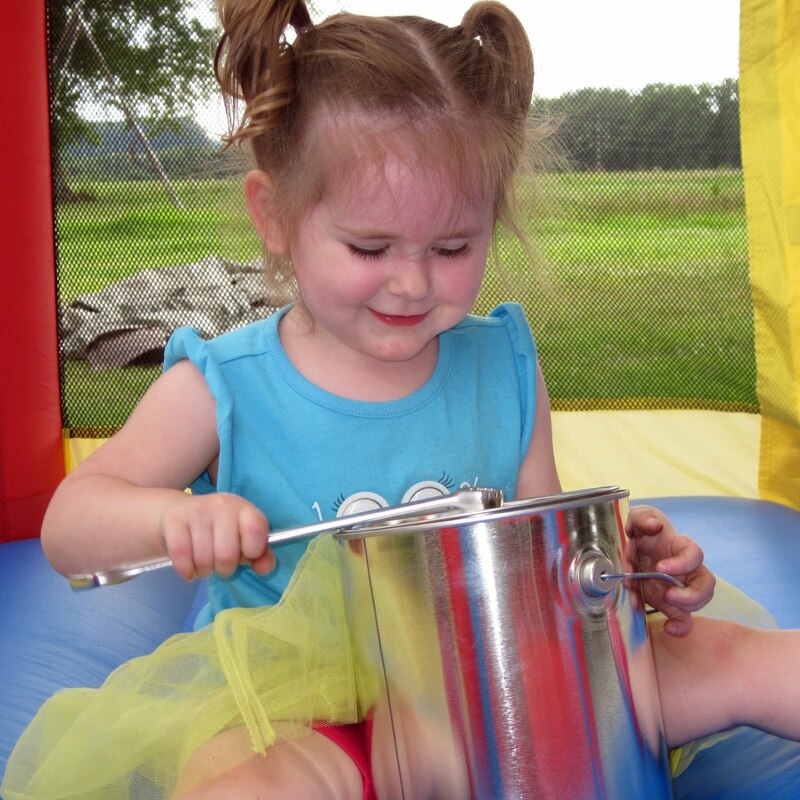 Her favorite is her bounce house that Joe's family bought her for her first birthday last year. 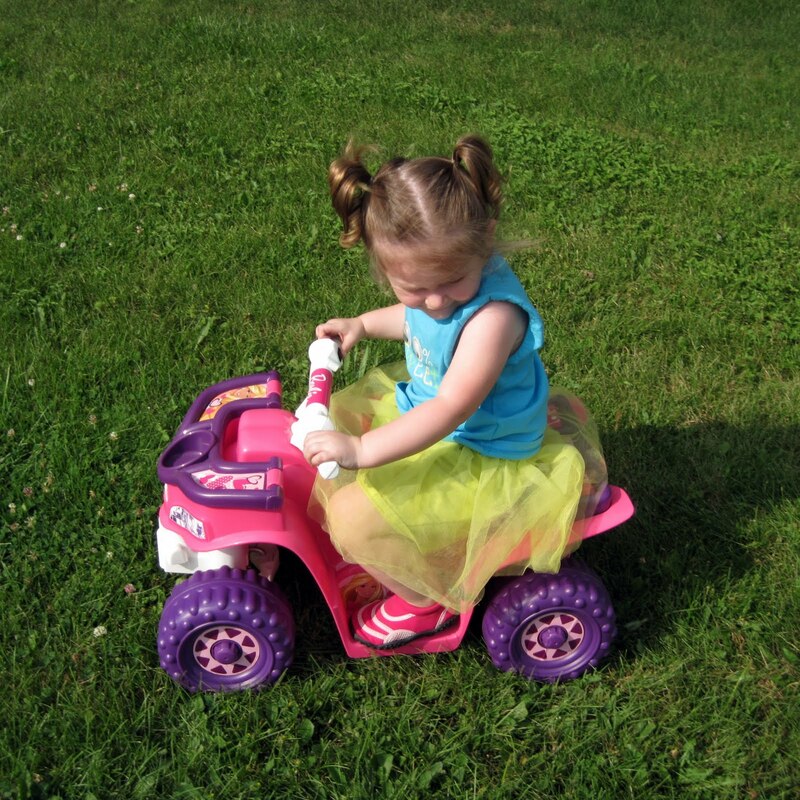 We've also been trying to get her to ride on her motorized 4-wheeler. 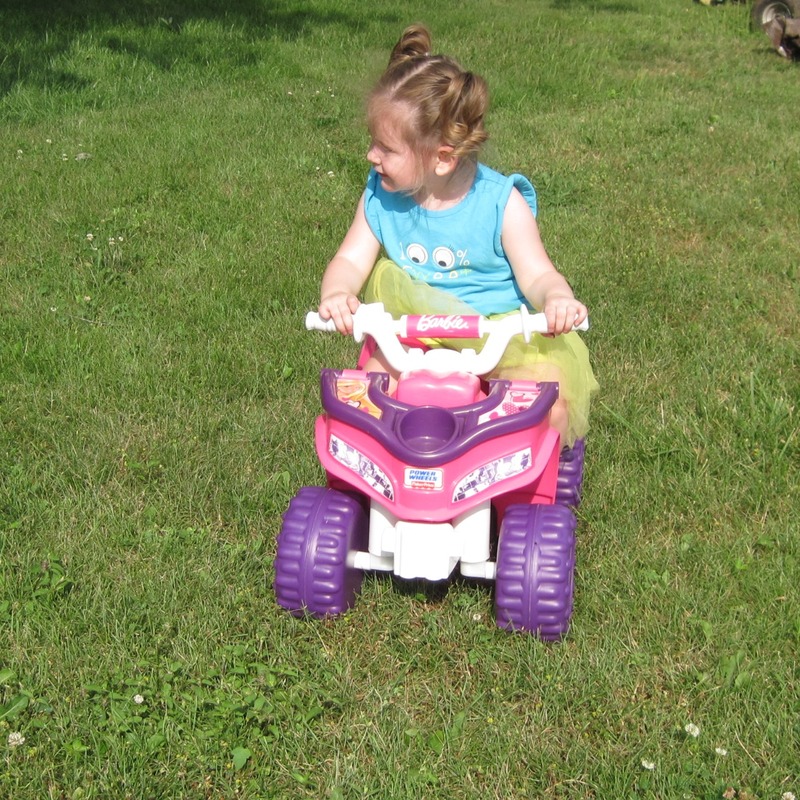 She mostly just stands beside it and pushes the button to make the wheels turn! 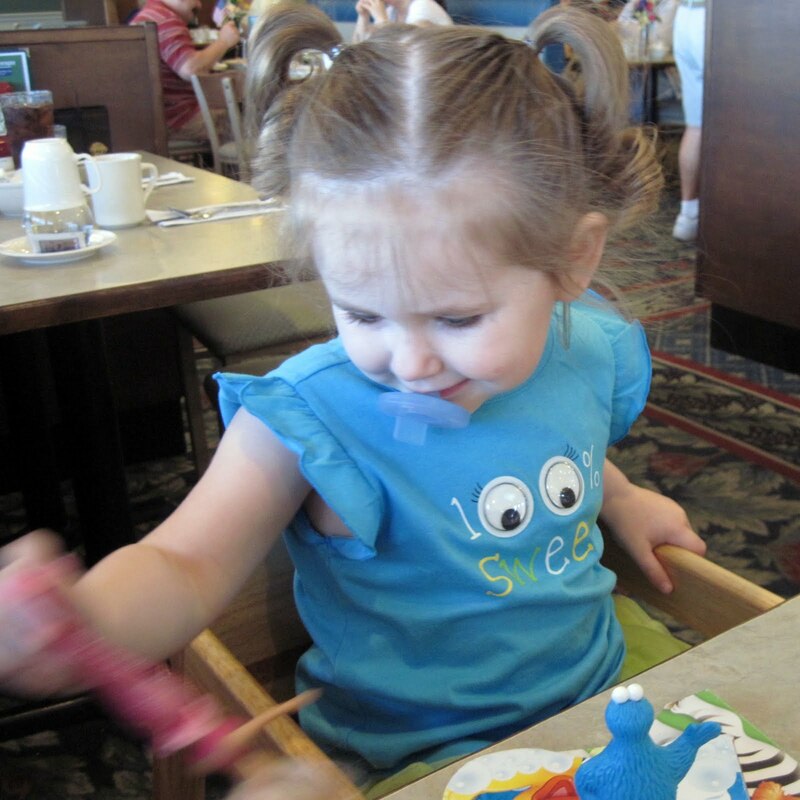 Here, she swiped one of Joe's wrenches and used it as a drum stick on her (empty) paint can! Grace loves music! What a great day! Not only did we discover that we all enjoyed kite flying, we also learned that Grace knew the word kite! I had no idea! Gotta love Sesame Street and Nick Jr! Since then, we've flown Sponge Bob a few more times. Making the most out of that $1 impulse buy! That kite proves that not only the expensive toys can be enjoyable and the best. The $1 brings me old memories when it was common to see kites in the air, specially on the beach. She's sooooo cute! And it looks like you all had a blast. I love kite flying. It's actually relaxing watching it soar. That's a lot of entertainment value for a dollar!!! Glad that you were able to get the kite to fly. How sweet! I need to get my kids a kite soon. That would be awesome. I love the idea of this blog. I'm definitely a city girl, but I would SO love to move to the country! I'd love to see you around my blot at confessionsofaslackermom.blogspot.com!